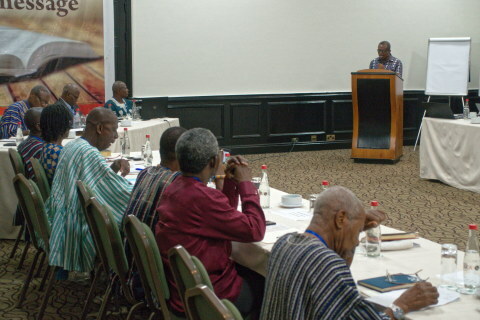 Last month in Accra, I attended a consultation on accelerating Old Testament translation. 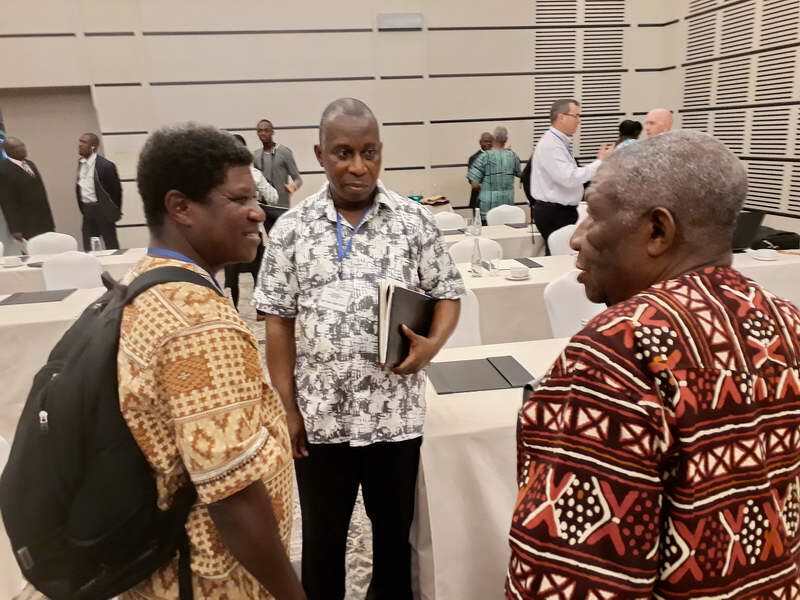 It was attended by people with wide-ranging interests: Bible agencies, organizations training people in biblical and modern Hebrew in Isreal, and church leaders. One of the topics was the Old Testament gap; that is, the gap between the number of languages which have a translation of just the New Testament and those that have the whole Bible. 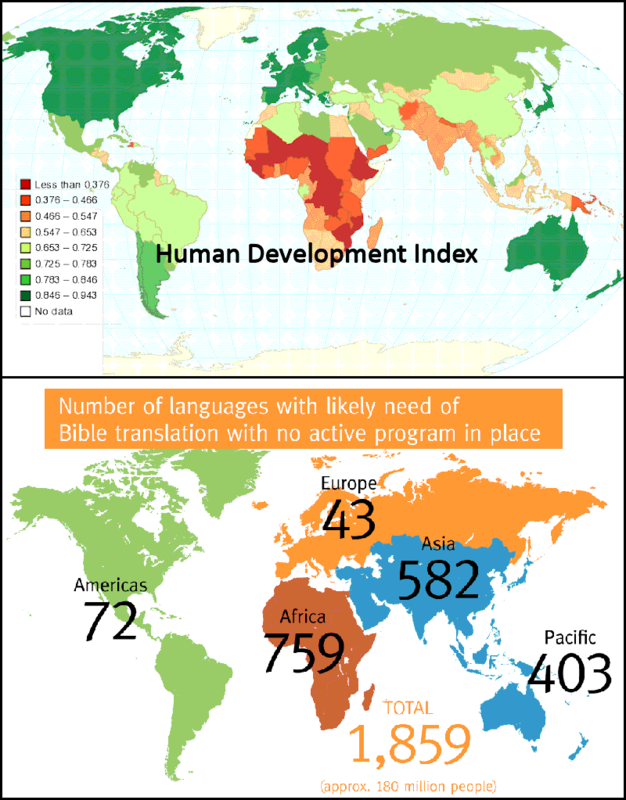 There are 1,442 languages in the world with a translation of only the New Testament. Of those, 1,188 have no active translation work on the Old Testament. Of those, approximately 300 are in Africa and about 90 have more than 500,000 speakers. Some languages have had the New Testament for many decades and still have no translation of the Bible and none in progress. The gap is due to several factors. One is training. Many translators and consultants who work on New Testament translation lack the skills to be involved in Old Testament translation, especially the Hebrew language. One of the saddest parts of the gap is that when the translation of the New Testament in a language was completed and the missionaries left, the churches were often left without anyone qualified to translate the Old Testament even if they wanted to continue on their own. The biggest gap, in my opinion is the transformation gap. Most sermons in African churches are based on Old Testament texts. The Old Testament deals with issues which most Africans face every day. I call this is impact or transformational gap – the gap between the transformation which could be happening with a translation of the whole Bible and the lesser impact that is happening now. Did you know that during the Reformation, there was a major push for more just and democratic government and that a lot of the ideas that created that movement came from the Old Testament? 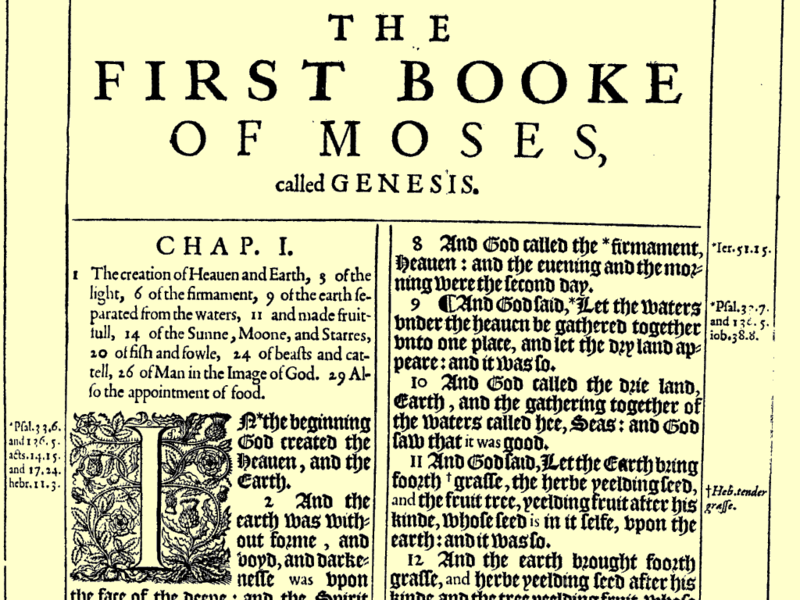 You can even download the Geneva Bible which preceded the King James translation and see the footnotes on fair and just government it contains. A few weeks ago I wrote about how a sermon on the first chapter of Genesis brought a lawyer to faith. The consultation called for a number of actions to remedy the situation. Some of them, like training more people to help with Old Testament translation, started not long after the consultation closed. 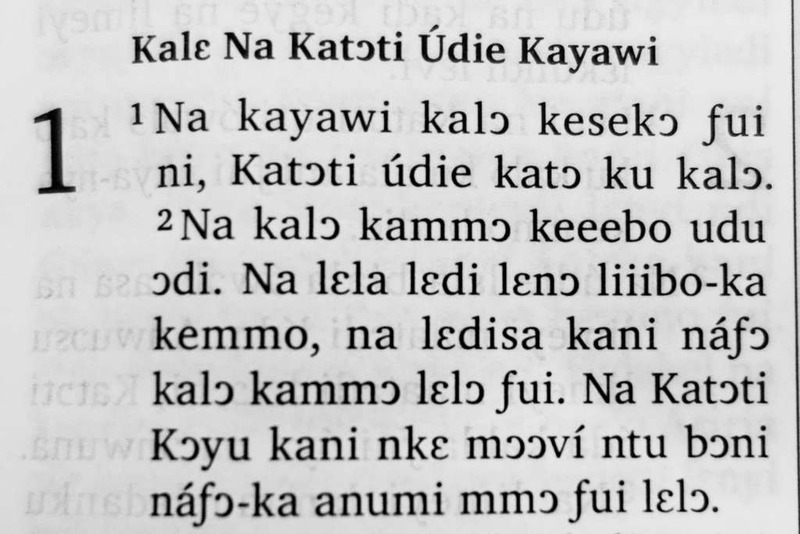 Four weeks ago, I introduced a series of blogs on the rationale for translating the Old Testament into the languages of Africa. As I stated in the introduction, there are a number of good reasons to translate the Old Testament. I am limiting myself to one proposition – that God has revealed himself in the Old Testament in ways that give his comfort, encouragement and instruction for many of the most burning issues facing African Christians, while the New Testament has little to say on those issues. Last week, I dealt with the issue of ethnic tensions and rivalries. This week, my topic is poverty. The map to the right shows the human development index for the countries of the world. The places in red score low on the index, meaning that people there are poor not just in terms of income, but also in terms of access to health care and in many other ways. If you compare the red and orange zones on that map with the map below it showing where there are the most languages without a translation of the Bible, you will see that there is a very significant overlap. 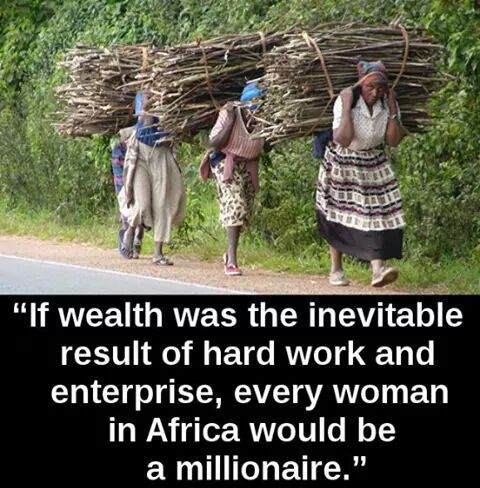 In other words, poverty is a part of life for most peoples without the Bible. The Old Testament deals extensively with the subject of poverty. Much of the Old Testament treatment of poverty is in the form of story. The whole book of Ruth, for example, is a story of a family falling into poverty through a set of circumstances over which they had no control – a famine and then the death of the men in the family – followed by a partial recovery of prosperity. The Old Testament is rich in stories of oppression, wars, famines, widows, and orphans — all of which are related to poverty. As a rural farming society, God’s people were subject to the changing “fortunes” of the weather. Their crops were also subject to disease and insect pests. So we read of famines caused by lack of rain, and by pests, especially locusts. Africa is 60% rural and much of Africa’s rural population lives through subsistence farming. So its people face many of the same issues. The Old Testament lists several causes of poverty in addition to kinds of calamities listed in the previous paragraph. The book of Proverbs lists laziness as a cause of poverty. Poverty is also attributed to unjust economic practices and shows how that can be eliminated through righteous and unselfish leadership. The Old Testament paints a very realistic picture of poverty and its causes. Neither God nor the human authors of the Old Testament books hid the hard times God’s people went through. Many traditional religions say that calamities come when a person breaks the taboos of the religion. Or they may attribute them to the evil actions of others (i.e. witchcraft). The first blames the poor person for his the poverty caused by calamity and the second sows discord. The health and wealth gospel tends in the same direction – blaming the poor person for their poverty saying that they don’t have enough faith. Hardly any churches, however, go as far down that road as does the JCC church in Kenya where the pastor warns poor people not to attend. But you are a tower of refuge to the poor, O lord , a tower of refuge to the needy in distress. You are a refuge from the storm and a shelter from the heat. For the oppressive acts of ruthless people are like a storm beating against a wall, or like the relentless heat of the desert. But you silence the roar of foreign nations. As the shade of a cloud cools relentless heat, so the boastful songs of ruthless people are stilled. Why translate the Old Testament? First, to counter the wrong messages about calamity and poverty found in traditional religions and even in the teachings of some churches. The messages about poverty in the Old Testament give the world’s poorest people, including its poorest Christians, the comfort and instruction God has given for their situation, while the New Testament has much less to say on the topic.